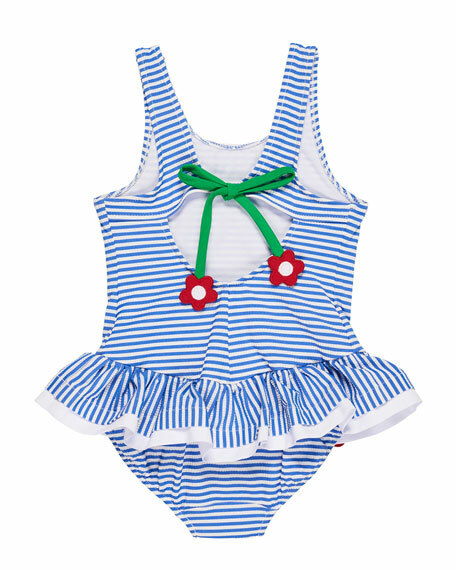 Florence Eiseman stripe seersucker one-piece swimsuit. Scoop neckline; cutout detail at back. Self-tie trim with hanging flower detail. Flower appliqués at ruffle waist. For in-store inquiries, use sku #2432700.